According to the National Center for Injury Prevention and Control, brain injury affects 1.4 million people annually in the United States. The physical, emotional and financial stress that a catastrophic brain injury will have on a family is undoubtedly life-altering. If you or a family-member has suffered a brain injury, contact the law offices of Blaine A. Tucker for a free consultation. You may be entitled to monetary compensation for current and future damages associated with this type of personal injury. Accidents involving motor vehicles are the leading cause of traumatic brain injury. In fact, fifty percent of all brain injuries are caused by automobile accidents. Beyond that, there are two different kinds of brain injury: an acquired brain injury and a traumatic brain injury. An acquired brain injury is any type of brain injury that has occurred after birth. Asphyxia is one of the leading causes of acquired brain injury. Asphyxia occurs when the body is deprived of oxygen due to choking, drowning or suffocation. This lack of oxygen causes brain cells to die, resulting in damage. Other causes of acquired brain injury include excessive blood loss, injuries in which the chest has been crushed, certain illnesses and diseases, stroke and heart attack, electrical shock or lightening strike, and exposure to toxic materials. A traumatic brain injury is caused by trauma to the brain. This can result from: the head striking an object, a blow to the head, an object penetrating the brain tissue, or damage to brain tissue related to an accident. Accidents involving motor vehicles, ATVs, motorcycles, and bicycles are the leading cause of traumatic brain injury. Other causes include: falls, violence, and sports-related injuries (especially those associated with contact sports like football, hockey, rugby and lacrosse). At the Law Offices of Blaine A. Tucker, we’ll work to determine causality – the proof that the negligible actions of an individual or company contributed to injuries sustained to the head. Then, we’ll go head to head with insurance companies to ensure you get every penny you’re entitled to. The days, weeks and months following the catastrophic brain injury of a loved one can be some of the most difficult periods a family will ever face. At the same time that the survivor and his or her family is trying to come to terms with the accident, they also must deal with issues related to hospital care, rehabilitation, insurance, and finances. At the Law Offices of Blaine A. Tucker, we work on your behalf so you can focus on getting your life back together. We also represent family members of the victims of brain injury who suffered wrongful death as a result of vehicle accidents, work-place or construction site accidents, medical malpractice, and unsafe premises. Remember, if you are feeling confused or overwhelmed during this process, you’re not alone. You can rely on the support of an experienced and compassionate brain injury lawyer to both represent you in court and provide answers to your questions about the future implications of this type of personal injury. At the Law Offices of Blaine A. Tucker, you can count on informed and aggressive legal representation on your behalf. Blaine A. Tucker is confident taking on large insurance companies with a hard-hitting approach. If you have suffered brain injury in Houston Texas area, you need an experienced Brain Injury attorney. Blaine A. Tucker is a Texas personal injury lawyer with more than 17 years of experience taking on insurance companies and procuring maximum settlements. 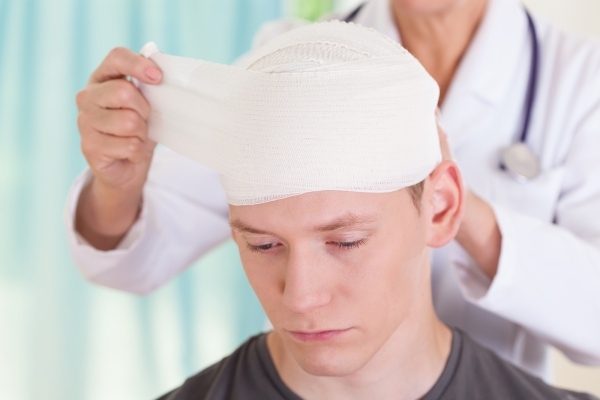 If you or a family member has suffered brain-injury, contact us today at 713-771-5453 for a FREE CONSULTATION! We look forward to representing you.